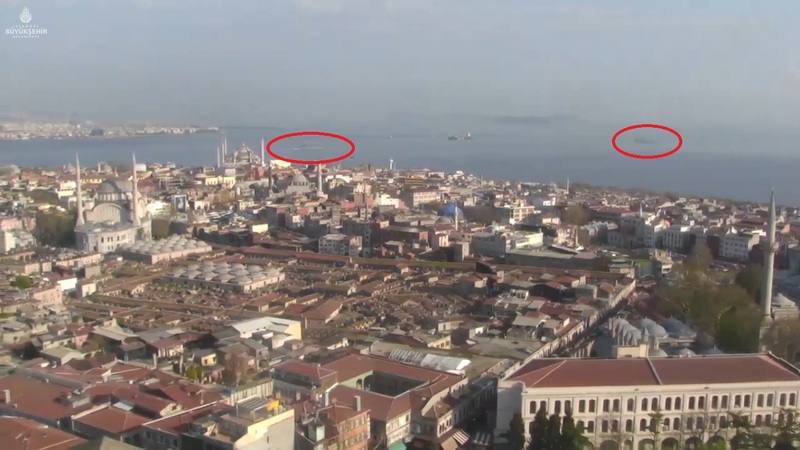 As the source is from a public webcam, the image quality is not very good but there are actually two Russian warships in it. I have marked them with red circles. 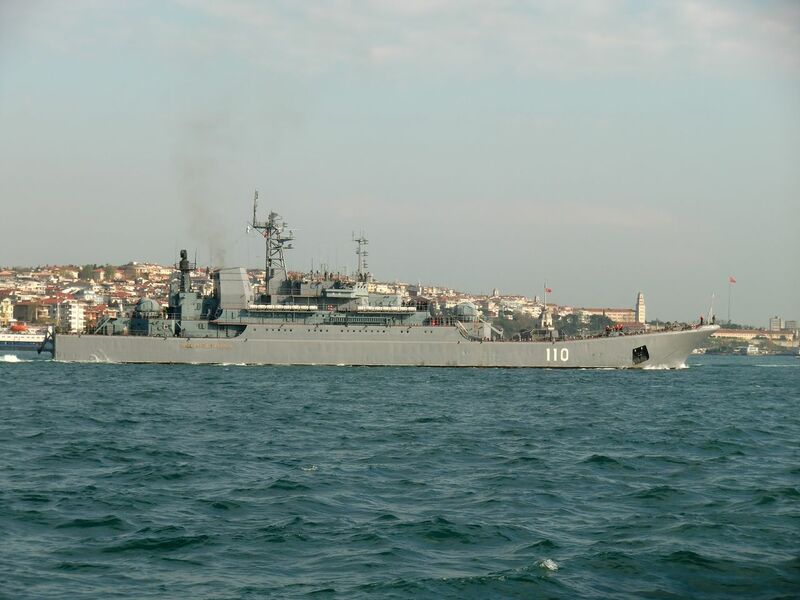 Two Russian large landings ships, Ropucha class 102 Kaliningrad and 110 Alexander Shabalin, which returned to the Black Sea on 25 March 2013 are sailing back to the Mediterranean today. I have no information whether they are going to Syria or to the Baltic Sea. I would appreciate any additional information. I hope I will soon have better photos of them. 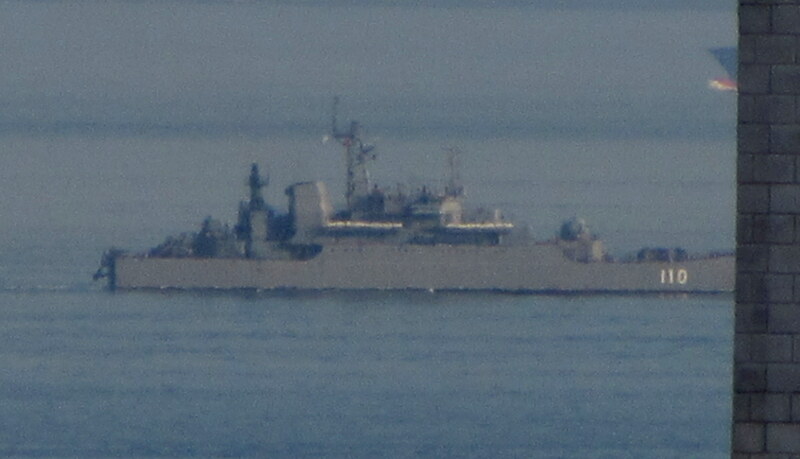 Now I have more photos of the southbound Alexander Shabalin. She seems to have spend most of the past 17 days receiving a fresh coat of paint. 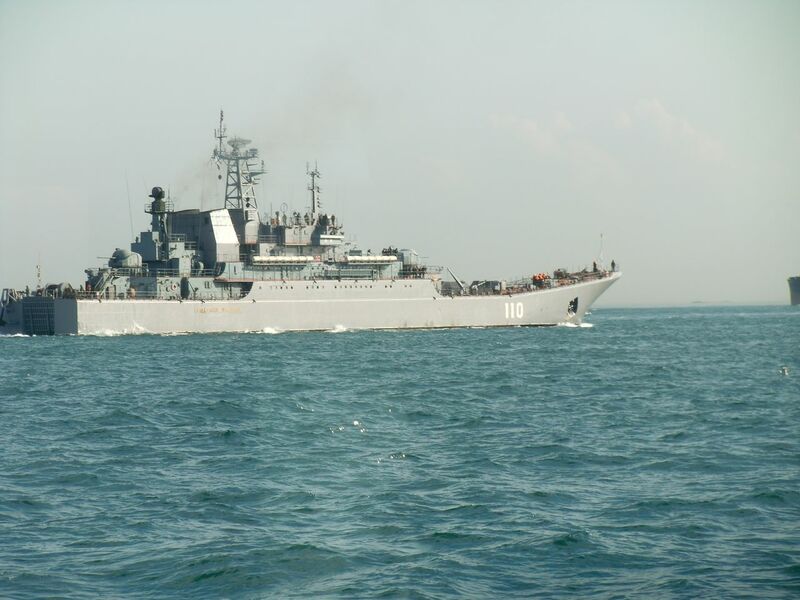 She was like a rust bucket when we last saw her and her companion Kaliningrad. 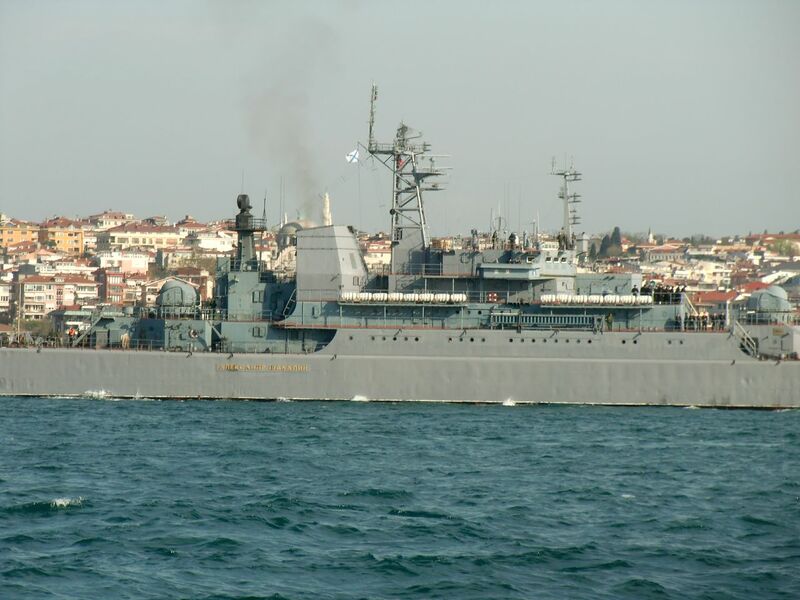 Russian landing ship Alexander Shabalin passing through Bosphorus on 11 April 2013. Photo: Gökalp Kunt. Used with permission. 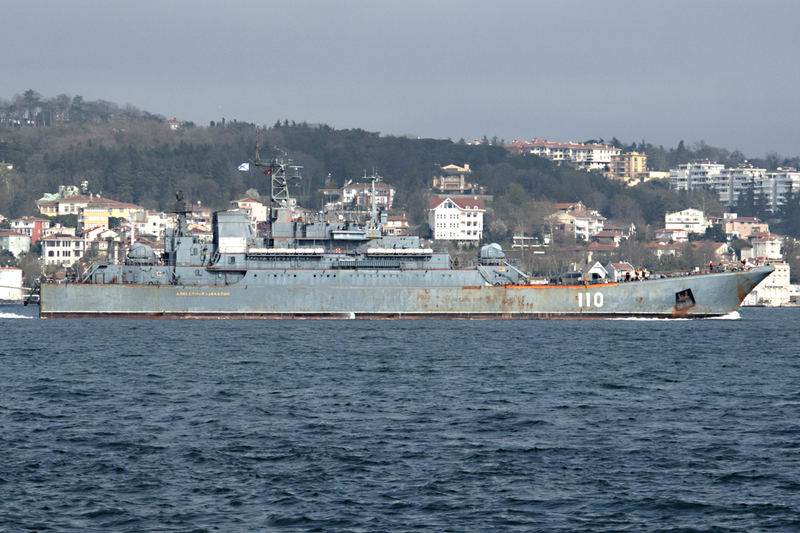 Russian landing ship Alexander Shabalin passing through Bosphorus on 11 April 2013. Photo: Delku. Used with permission. Do they have to have a Turkish pilot onboard for the transit? No usually they do not take pilots on board. Bence fotoğraf çekildiği şartlara göre gayet başarılı ve gemiyi de gazyet net gösteriyor. Teşekkür ederim, ellerine sağlık. Sir, Do you have any information or prediction about the cargo of the ships? kangroo, no I have not the slightest idea about their cargo. But I would not be surprised if it turned out to be military hardware.